As the Russian presidential spokesman noted, the Donbass republics "have been torn away by Ukraine itself," and the Crimea issue "is closed and forever"
MOSCOW, April 1. /TASS/. 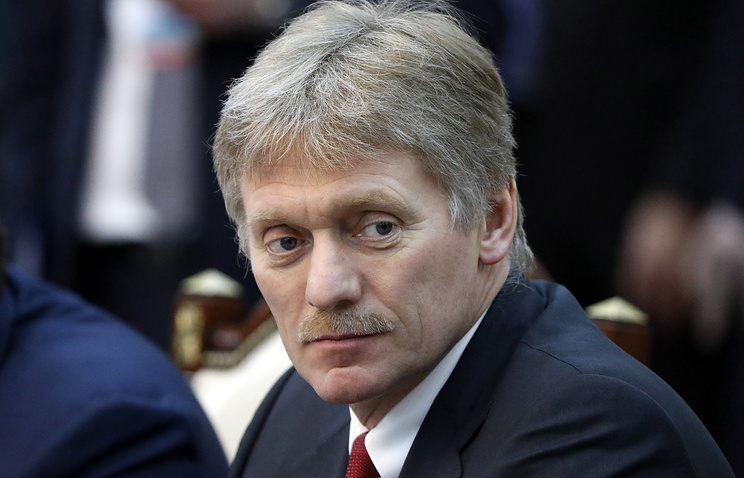 Russia is not occupying any Ukrainian territories and is ready to explain this to any Ukrainian citizen, Kremlin Spokesman Dmitry Peskov said on Monday. The Kremlin spokesman thus responded to a request to comment on a statement by Ukrainian presidential election frontrunner Vladimir Zelensky about his intention to demand the return of territories and compensation payment from Russia. ‘We are ready to explain to any Ukrainian citizen that Russia is not occupying any Ukrainian territories and generally there can be no talk about that," the Kremlin spokesman said. As the Russian presidential spokesman noted, the self-proclaimed Donbass republics "have been torn away by Ukraine itself and what is happening there is the result of the policy pursued by the Ukrainian leadership." Meanwhile, a mention of Crimea in this context is inadmissible because this theme "is closed and forever" and is not subject to any discussion, the Kremlin spokesman said. Zelensky earlier told journalists in his election headquarters that in case of his hypothetical meeting with Russian President Vladimir Putin he intended to talk about the return of territories by Russia and the payment of compensations by Moscow. Presidential elections were held in Ukraine on Sunday. Showman and head of the Servant of the People political party Vladimir Zelensky is maintaining lead in the Ukrainian presidential race (30.45%), followed by incumbent President Pyotr Poroshenko (16.19%) and the leader the Batkivshchyna party, Yulia Tymoshenko (13.15%), with 70% of ballots counted, the Central Election Commission said. Ukraine’s Central Election Commission has already announced that none of the presidential candidates will be able to gain a majority of the votes and, therefore, a runoff will take place in Ukraine on April 21.